This 16 1/2-inch tall x 15-inch wide backpack will hold your laptop. It looks like Borg equipment from Star Trek: The Next Generation! Features comfort-shaped back padding, adjustable straps, and a padded interior pocket. Resistance is futile, because this 16 1/2-inch tall x 15-inch wide faux-leather and nylon backpack is so cool! Looking like a piece of Borg equipment from Star Trek: The Next Generation, it features comfort-shaped back padding, adjustable straps, and a padded interior pocket to hold any laptop. 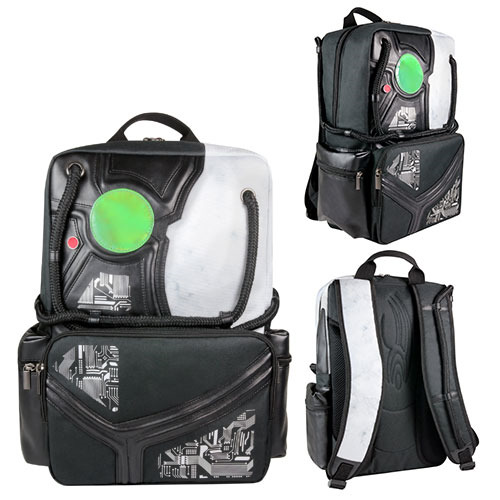 TNG fans will love this Star Trek: The Next Generation Borg Backpack! Ages 13 and up.